Fat Man Shrugging Shoulders I Don't Know Gesture Isolated On.. Stock Photo, Picture And Royalty Free Image. Image 61273122. 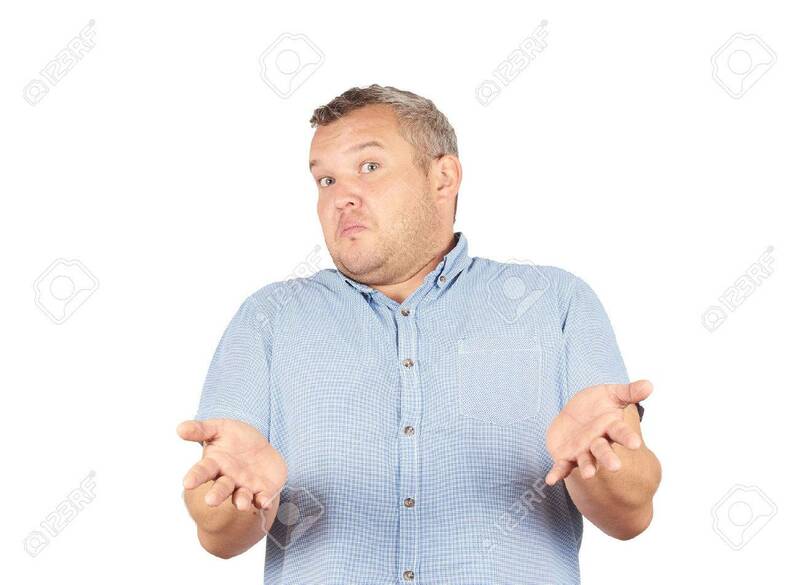 Stock Photo - Fat man shrugging shoulders I don't know gesture Isolated on white background.. Human body language. Fat man shrugging shoulders I don't know gesture Isolated on white background.. Human body language.